Former Senior Vice President, Business Development. 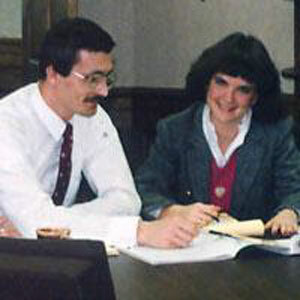 Lisa Driscoll led the acquisition and development programs of The Hamister Group and its affiliated companies. She was with The Hamister Group for over 24 years, having begun her career in 1982 as an intern while completing an MBA in Health Systems Management at the University at Buffalo. She held a variety of positions with The Hamister Group, including: executive assistant to the Chairman, sports management, strategic planning, operations and marketing roles. As Senior Vice President, she focused on acquisition and development activities. During her 24-year career with The Hamister Group, she chaired a dozen annual training conferences for all of the firm's leaders around the country and was major contributor to insightful planning and training throughout the Company. She was the recipient of many awards from inside and outside the company in areas of leadership. Throughout her career everyone at The Hamister Group could count on her to provide her best advice and candid assessments. She was thoroughly committed, unfailing, and worked extremely hard at whatever she undertook. Moreover, Lisa Driscoll was a confidant, a friend, and a partner in the truest form of the word to many at the Hamister Group including its Chairman, Mark Hamister. She was one of the three senior officers responsible for the company. Lisa will be dearly missed by everyone. She lived in Orchard Park, NY, and is survived by her husband Michael and their three children. The family is active in USTA Tennis, the Orchard Park High School Athletic Booster Club, Varsity Tennis, Orchard Park Youth Soccer and Basketball. Lisa herself was the treasurer of the Eagle Ridge Tennis and Swim Club in Orchard Park. She was a beloved Mother and Wife and talked about her children and her husband frequently at the office. Our corporate family grieves the loss of Lisa with her family.